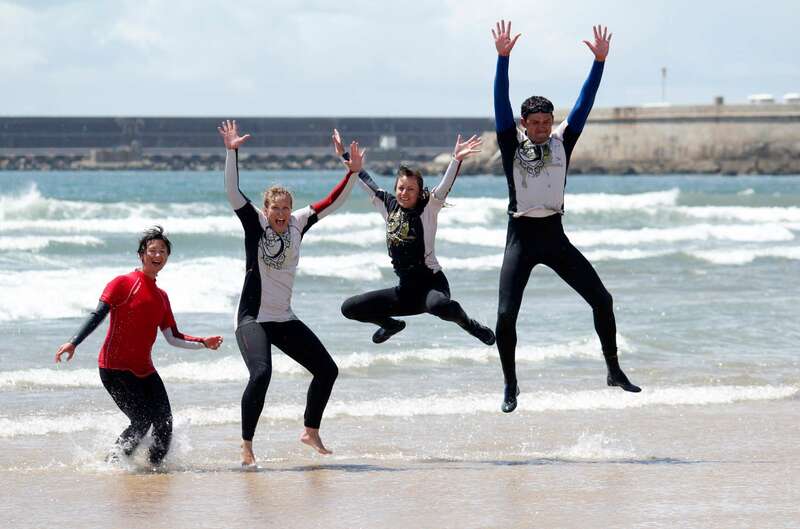 Book your Surf Camp Package in Porto for June 4 – 11 and take an afternoon off to check out the Longboard Pro in Gaia! Events will take place June 9 – 11 in Praia Canide Norte, just south of the Duoro River in Porto. The Longboard Qualifying Series includes only about 10 events worldwide through which the world’s best longboarders can have a chance at competing for a World Title. Each event is crucial and surfers often travel huge distances for a chance to wear the WSL jersey. The season started last month in Caparica, and is now heading to Stop No. 2: the Longboard Pro Gaia, Portugal. Last year’s conditions brought excellent longboarding waves, long waist-high lefthanders with ideal noseriding sections. Among the pro’s heading to Gaia are two former World Champions, Lindsay Steinriede (USA) and Rachel Tilly (USA), the current leader in the Women’s European title race, Alice Lemoigne (FRA), and the winner of the Longboard Pro Caparica, Rodrigo Sphaier (BRA). At the Surfivor Surf Hostel in Porto, you may choose between dorm and private rooms. If you are travelling alone or on a budget, our dorm rooms might be your best option. If you want to enjoy a spectacular ocean view and have some privacy, choose our single or double room options. With all this sun and fun perhaps one week is not enough!? Book a second week at our Surf Hostel in Esmoriz and get your second week 20% off. This way you can catch a few more rays on the beach and really nail your new surfing techniques. Contact us with any questions, or to claim your 2 week discount.